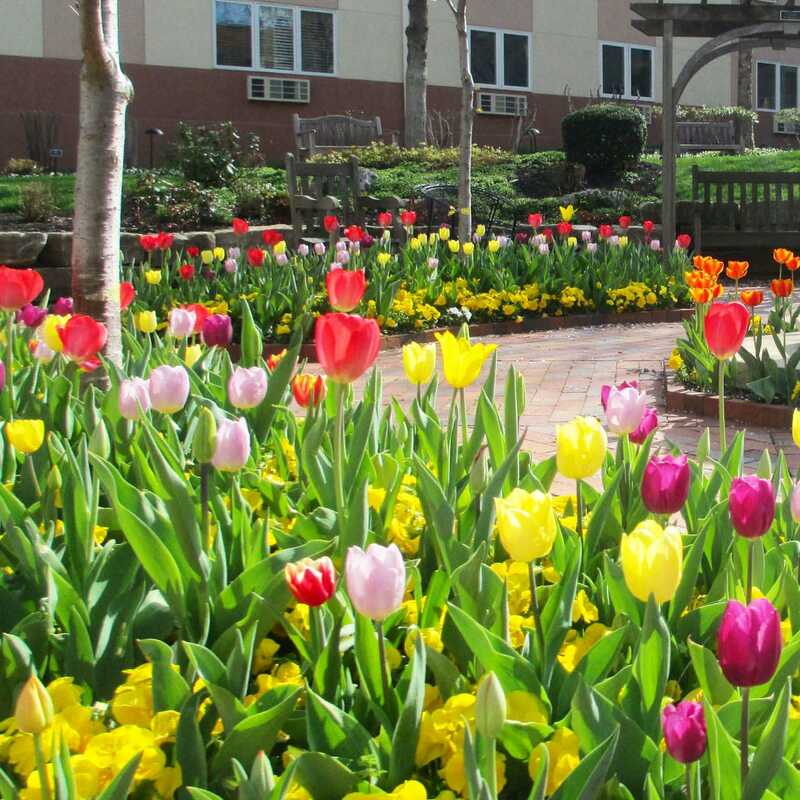 Walk around our community and you’ll see flower boxes boasting bright, beautiful colors hanging from resident balconies. Continue through our award-winning Bishop’s Garden and pause by the fountain or stretch out on a bench to read a good book. As you go, you’ll pass residents working in their garden beds – there are several raised 8”x6” garden beds which can be reserved for personal plantings. Members of the Garden Committee take an annual trip to a local nursery and garden center to select flowers for our Memorial Garden, and they also manage the herb garden. There you’ll find mint, thyme, rosemary, cilantro, dill, sage, and more – all available for resident use. Our chefs love grabbing fresh herbs from the garden! Our Bishop’s Garden is a formal oasis tucked in our courtyard. It was inspired by the fabled garden that Ethel Weatherly and her daughters, Virginia and Sarah, cultivated for many years at their Kansas City home. Jonathan Kemper and the William T. Kemper Foundation funded the creation of the Bishop’s Garden, part of which was a replica of “Miss Ethel’s Garden.” A series of rooms, the central “room” or hub of the Bishop’s Garden is a large octagonal area with a reproduction of a late 17th century Anglican baptismal font at its center. An intricate brick pattern radiates out from the font. A place of tranquility for the residents of Bishop Spencer Place, this special space delights garden enthusiasts.